This set will make sure that when practicing combative or defensive moves you and your partner stay safe. All pieces are designed out of high impact resistant vinyl. Reduce injuries while being able to practice your discipline without the worry of bruising or getting seriously injured. All martial arts instruction should be provided by a trained and committed professional; ask your instructor before practicing learned movements at home. Click Here to learn more about this Sparring Gear Set designed by Pine Tree. Wearing a martial art shoe for class can save you years of foot problems and help reduce the chance of injury to ankles, arches, heels, and plantar fasciitis. Martial Arts Shoes keep your SKIN SAFE from picking up bacteria and fungi from mats. I hate to say it, but you never know how unsanitary other individuals in class might be, or maybe you don’t know when the mats were cleaned last. It’s best to avoid picking up fungi entirely by keeping your feet safe with Martial Arts Shoes. These Martial Arts Shoes also help in keeping your feet safe from your training partners (while learning, it’s not unheard of to accidentally step on someone’s foot). These shoes will keep YOU safe from yourself as well. Socks were banned from our classroom because they caused us to be much more slippery on the mat than we would be in natural life. Martial Arts Shoes are the best option. Also, if you think about it… if you find yourself in a position when you must use your martial arts skills in real life, it’s more likely that you’ll be wearing shoes. Martial Arts Shoes will make training more real and applicable. Click Here to find out more about the Ringstar Fight Pro Martial Arts Shoe. WAS $99.95 NOW $70.00 Some schools don’t allow the use of martial arts shoes based on their training style, traditions, and intensity of the program. Be sure to ask your instructor before assuming you can wear them on the mat; some mats are sensitive to particular types of shoes as well. Plus, it’s basic respect for the dojo. When it comes to using the Practice Training Sword you should always use it according to the instruction of your teacher. The only times my class used these wooden practice swords was once I had a good grasp on the wooden kali sticks. All tools are used to prepare you for the real weapon in real life situations to keep you safe from attackers. A popular practice in class was to practice your control, speed, and follow through with the Practice Training Sword against a Punching Bag. The practice wooden sword ISN’T sharp but IT IS solid and blunt. It’s not an item you would want someone to swing at you EVEN in practice. ALWAYS use this tool under clear and knowledgable instruction. If you do plan on using it at home use it against a tightly packed long punching bag. If you begin to feel pain in your wrist you might want to consider wrist braces to make sure you don’t lose control of the weapon due to weak hand and wrist muscles. Bones in the hand are small and can easily break. Safety first! Always! 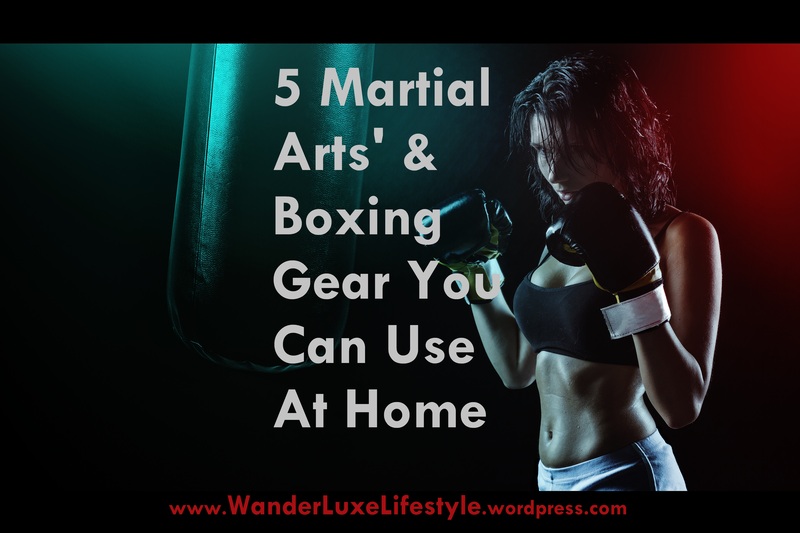 For the Taekwondo Kick Pads you might want a partner to practice with you. This is the perfect tool to help you perfect your balance and accuracy with kicks. It’ll be provide a nice padding to keep your partners hands safe, and produce a loud sound do you can hear the amount of force you’re applying during practice. Click Here to learn more about the Overmont Double Set Kicking Target Pads. A punching bag is the most significant partner a martial arts student can have if they don’t have a person around to practice and spar with. You can practice weapon workouts, escrima (kali, eskrima), Muay Thai, boxing, kick boxing, and other practices with the punching bag. You also don’t have to worry about hurting anyone; so feel free to really let it all out! Click Here to find out more about this Filled 6 foot 130 lb Punching Bag. Leave a comment below. What are your favorite pieces of equipment to use when training or practicing your favorite martial art?